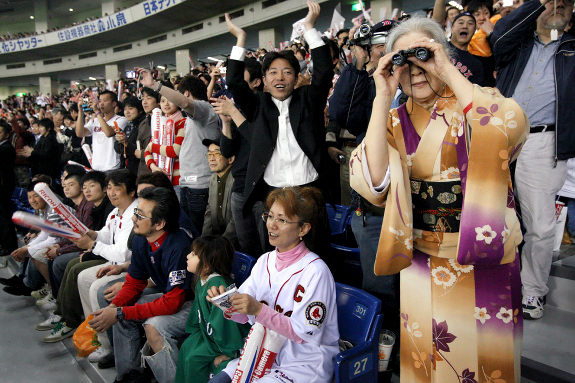 Baseball is an extremely popular sport in Japan. It was first introduced by an American professor during the Meiji era and quickly spread throughout the country. There are four major baseball associations in Japan: high school, college, amateur, and professional. High school baseball’s national championships are held in the spring and summer. 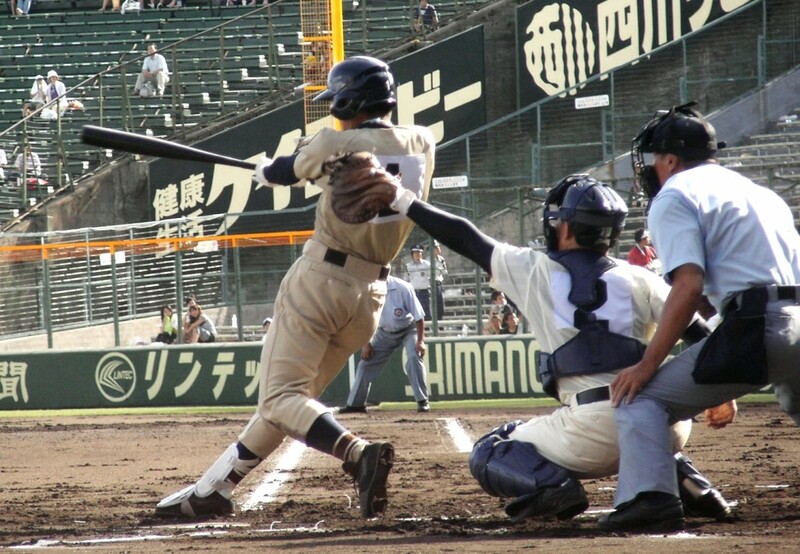 Schools representing the respective 47 prefectures compete in tournament play at Koshien (Hanshin Koshien Stadium) and the games are broadcasted on TV. More than 4,000 schools nationwide participate in these championships. College baseball has leagues in respective regions and among them, the Tokyo Big 6 Baseball League is the well-known one with a long history. Amateur baseball is known for its national championships held every summer where teams representing various cities play against each other. As for professional baseball, there are two leagues: Central and Pacific. There are six teams in each league which add up to twelve in total. The teams’ home grounds are located throughout the country from Hokkaido in the north to Fukuoka in the south. Many of the fields where professional baseball games are held have now been turned into domes with roofs and/or use artificial turf. In recent years, a good number of players are gathering attention by transferring from their Japanese professional teams to the Major League Baseball in the U.S. to try their luck there.